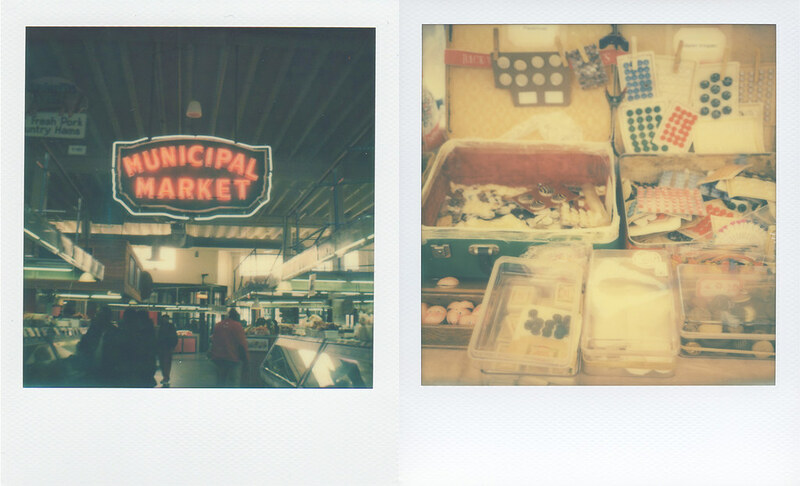 sweet auburn curb market, where you will find tall, tall stacks of collard greens, rainbow jumbles of fruits and vegetables and maybe pig's feet. maybe pig's ears too. what I'm saying is that they're not kidding around with the produce, not kidding around with the butcher counters. sweet auburn is as southern as they come, steeped in history, just a stone's throw from auburn avenue, the very center of the civil rights movement, where dr. martin luther king lived and worked and changed the world forever. noordermarkt, in the jordaan area of amsterdam, where jumbles of a different kind can be found on an early monday morning. old buttons and lace and the like. antiques, as we call them. deliciously decayed, best when stacked and packed and left fairly unorganized, ready to be pawed and rifled through in early morning light. my kind of market. my favorite kind, really.